Getting ready for our new look! 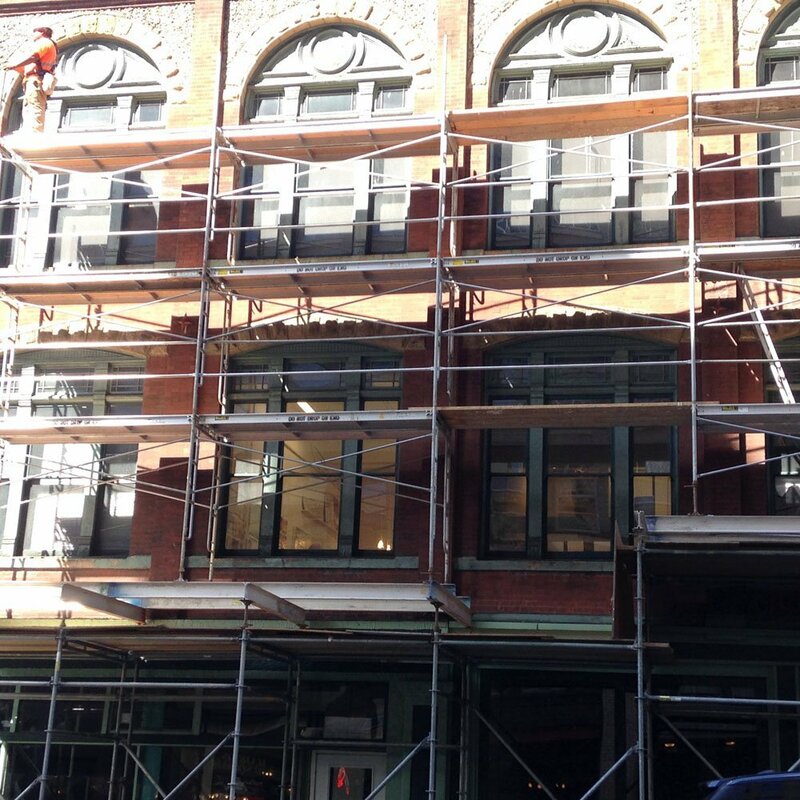 The Good Arts Building is being wrapped in scaffolding this week, in preparation for a major exterior refurbishment. 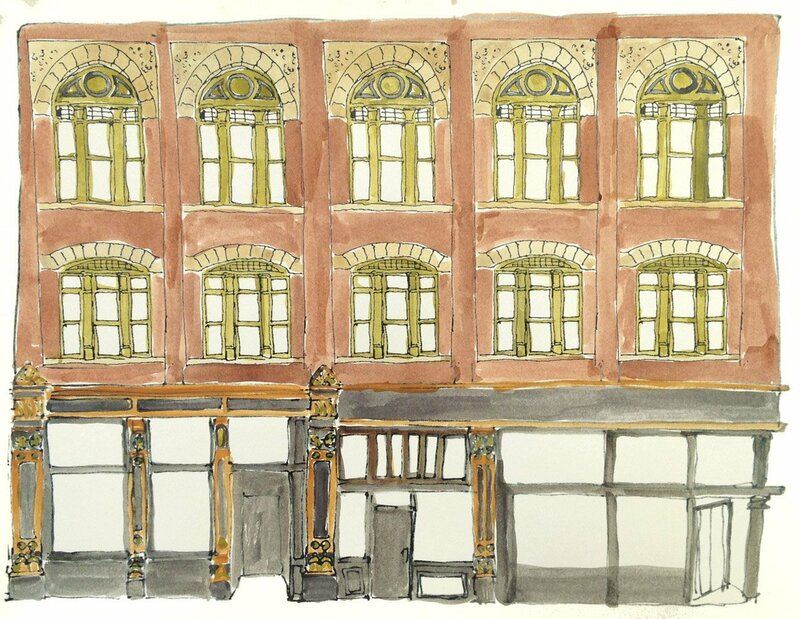 The new colors, designed by Jane Richlovsky with input from other artists of ’57 Biscayne, and approved by the Pioneer Square Preservation Board this past summer, will highlight the unique Victorian decoration on the building’s trim and complement the brick and sandstone facade. Rendering of the Cherry Street elevation of the building. Rendering of the First Avenue elevation.